Here I will be posting the characters I have drawn requested by a few people. The first one should be done later today if not earlier tomorrow. If you want your CH hero to be drawn, information is in General Discussion. Angmar Reid wrote: If you want your CH hero to be drawn, information is in General Discussion. Here is the first drawing! This is Mindreader, requested by Mind. Thank you for your cooperation, patience, and having me draw this! 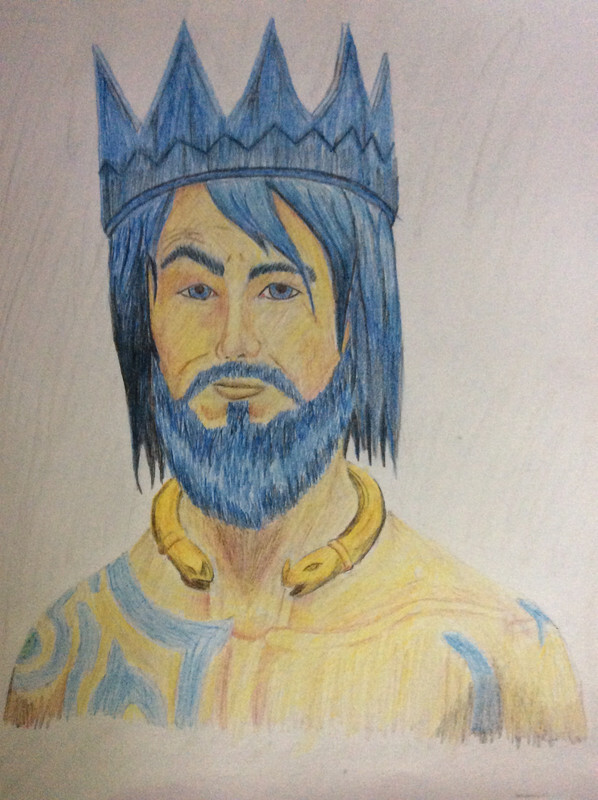 And thanks for the challenge to draw someone with blue hair and golden skin for the first time. Angmar Reid wrote: Here is the first drawing! 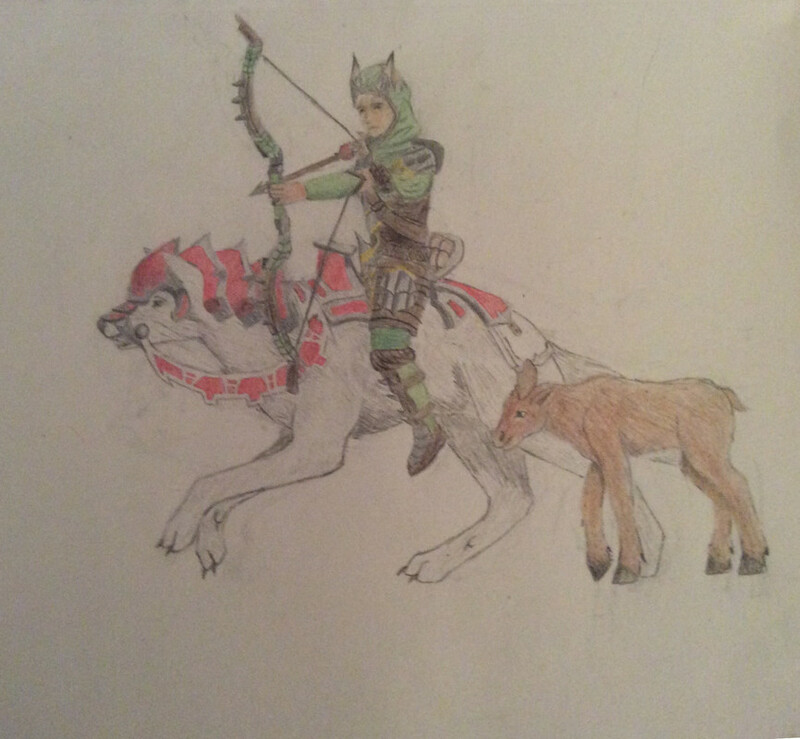 This is Sly Shadow's request: His Ranger riding his mount with his trusty pet baby moose at his side. Who cares if moose aren't in the game? We can dream, can't we? And, personally, I think its adorable! I hope that you like it, Sly Shadow. This was definitely a challenge. Trying to make a rearing wolf that actually looks like a wolf, trying to make sure the Ranger's body was as natural as possible, and trying to make a little baby moose when I had never drawn a moose before. Thanks for your request, patience, challenge, and having me a draw a cute moose! Mind wrote: Wolf pose looks neat! Ahem... may I second this motion? Don't underestimate the power of a baby moose. And don't think "well there never were moose in Scotland" (which is where I assume the game takes place) because moose actually went extinct in Scotland around the 10th century, which was long after the end of the Celtic era. Sorry. I know that's totally off the subject of art. Angmar Reid wrote: This is Sly Shadow's request: His Ranger riding his mount with his trusty pet baby moose at his side. Who cares if moose aren't in the game? We can dream, can't we? And, personally, I think its adorable!